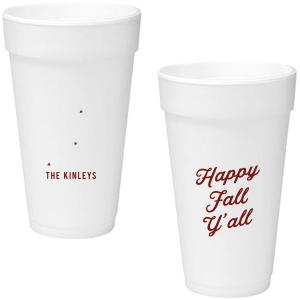 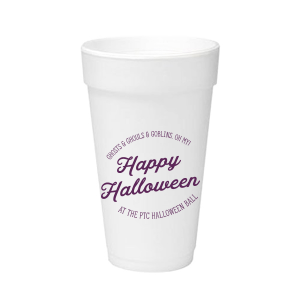 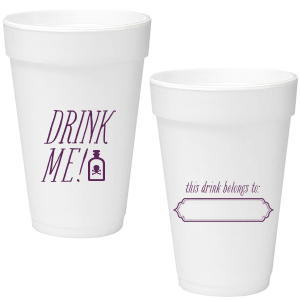 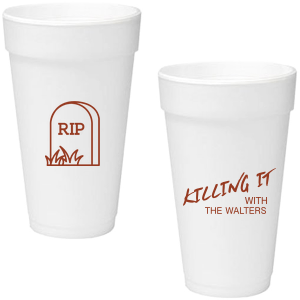 Give your Halloween party an extra layer of personalization with custom designed 20 oz Halloween styrofoam cups! Keep your guests’ drinks cool and coordinated with your party theme with personalized 20 oz Halloween foam cups! 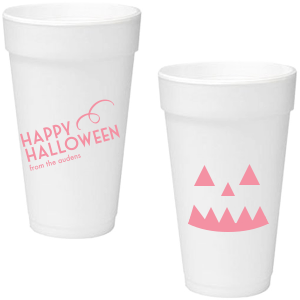 Serve generous portions of nice and cold soda or tea in your personalized Halloween 20 oz foam cups! 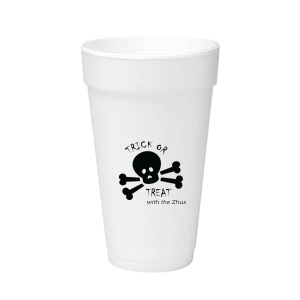 You’ll enjoy browsing the designer-made options in the galleries as you find inspiration for your custom designed Halloween 20 oz styrofoam cups. 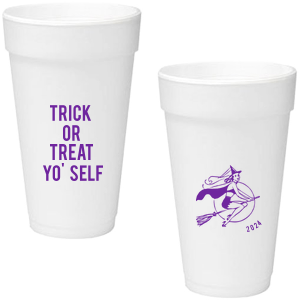 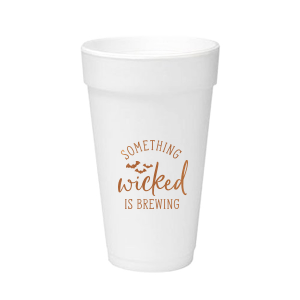 Over 50 screen printing colors guarantee that you’ll be able to color coordinately your personalized Halloween 20 oz foam cups with your Halloween party colorway. 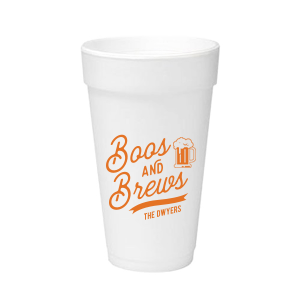 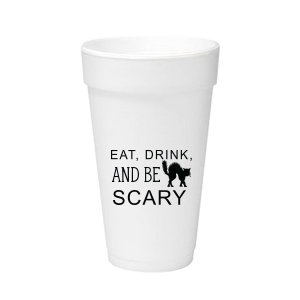 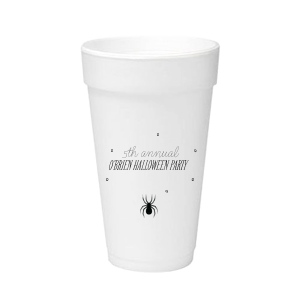 Your party drinks will be spook-tacular with your custom designed 20 oz Halloween styrofoam cups. 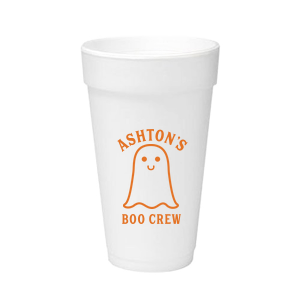 Get started designing the perfectly ghastly personalized Halloween 20 oz foam cups today!